I was a brand new officer in 1994 when I was given an opportunity to drive a 1987 Chevrolet Caprice. Made famous in a number of movies, this full size black and white did not disappoint. I don’t even know what kind of modifications had been made to the car, but it sounded mean and driving it was fun. Even as a new officer, I didn’t have the car long before I was given an opportunity to drive various other models, most not worth mentioning. A few years later I received a car that many have called one of the greatest ever made for police service — a 1995 Chevrolet Caprice 9C1. Powered by a LT1 260 Horsepower, 5.7 Liter engine, the car was one of the most popular for the LE profession of all time. To this day, there are many enthusiasts that just can’t let go of this icon. But all good things had to come to an end and in 1996, General Motors ceased production on the Caprice. General Motors expects “a sub six second” 0-60 acceleration and a top speed when compared to others in its class. They say the car will contain two trunk-mounted batteries, with one of them dedicated to powering various police equipment along with built in compatibility with in-dash touch-screen computer technology. The Caprice boasts a larger interior than its competitors at 112 cubic feet including more legroom and special features will include spotlights, lockouts for the power windows and locks and an “undercover” street-appearance package titled the 9C3. 1976 — The 9C1 order code is given for the first time to a full-size Chevy police car package. It carries the Impala name. 1977 — The full-size Chevy is downsized. The 9C1 police package is retained, as is the Impala name. 1986 — The Caprice name replaces Impala, as the car is updated for the mid- and late-1980s — including the option of a powerful, 5.7-liter small-block V-8. 1991 — A new-generation Caprice is launched, with the 9C1 police car still on the beat. 1994 — The 260-horsepower (194 Nm) LT1 V-8 engine is offered in the Caprice 9C1, making it one of the fastest full-size police cars ever offered. 1996 — Caprice police car production ends, as GM’s full-size, body-on-frame car architecture is discontinued. 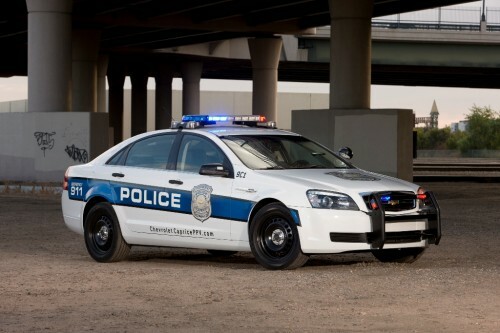 2011 — The Caprice PPV returns to active duty. There is much we still don’t know about this car and while the specifications are impressive, there is only one way it will prove itself: that is with America’s Finest behind the wheel. That will tell the story and Chevrolet is confident that story will be a huge success. Orders for the 2011 Chevrolet Caprice can be placed in the 3rd quarter of 2010 with deliveries beginning in early 2011. Captain Travis Yates commands the Precision Driver Training Unit with the Tulsa, Okla. Police Department. He is a nationally recognized driving instructor and a certified instructor in tire deflation devices and the pursuit intervention technique. Capt. Yates has a Master of Science Degree in Criminal Justice from Northeastern State University and is a graduate of the FBI National Academy. 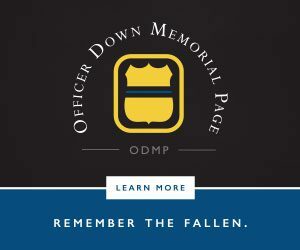 He is the owner of www.policedriving.com, a website dedicated to law enforcement driving issues and the Director of Ten-Four Ministries, dedicated to providing practical and spiritual support to the law enforcement community. You may contact Travis at Policedriving@yahoo.com. I live in a rural community, pop. approx 48,000. 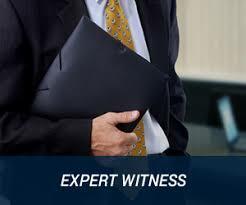 To date we have, within the county, 3 policing agencies (not including state police). This is an absurd waste of tax payer $$’s. In the local paper, when they have police reports, they are predominently made by the State police – NOT any of the three local LE agencies… IMO, police persons exhibit intimidatation & power tactics in order to make arrests and to gain personal gratification. I don’t own a gun but with the personally TARGETED invasive maneuvers(which I have encountered myself) local LE police employ, I’ve considered the purchase of such a ‘weapon’. If this is how we have chosen to keep order, IN A CIVILIZED SOCIETY, … I must re-think and redefine ‘CIVIL’. From my POV, much of law enforcement emphasizes ‘FORCE’. Not how I believe a civil sociey needs to be treated. PEACE OUT. ja are you a idiot or what? Seems to me you are advocating arming yourself to protect yourself from the police. Have you ever considered your area’s smaller PD’s don’t report their stats? One police force due to having others being a waste of taxpayer’s money? You are a IDIOT!! Get a life. You are both idiots. For the first idiot, if you are being harassed then stop speeding and step away from the bong. The second guy next time you call someone an idiot make sure your grammar is correct. By doing this you won’t look like one yourself.